With spring on the horizon, it’s time to start planning your upcoming adventures. 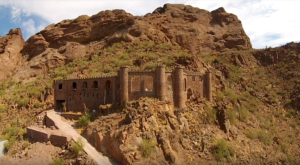 With so many natural wonders in Arizona, deciding where to go first can seem rather daunting. 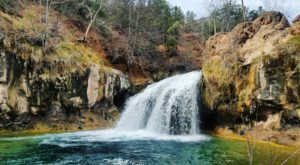 Luckily, there’s one place in the Grand Canyon state with more outdoor attractions than anywhere else: the small town of Page. Page was never supposed to be a permanent settlement. 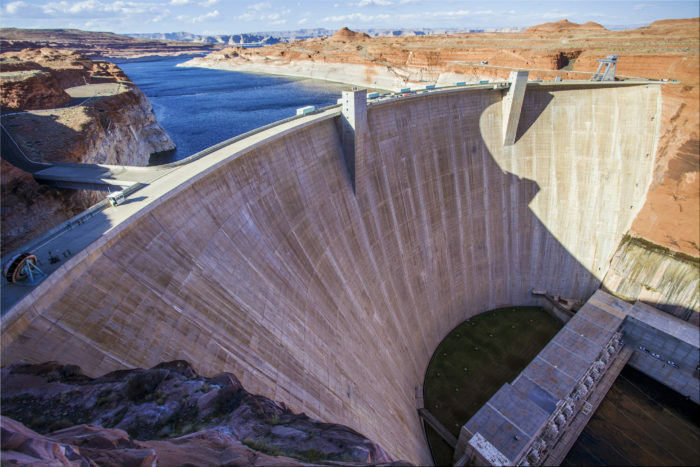 Workers arrived to build the Glen Canyon Dam in 1957, intending on leaving after its completion. However, many decided to stick around - and it's easy to see why. 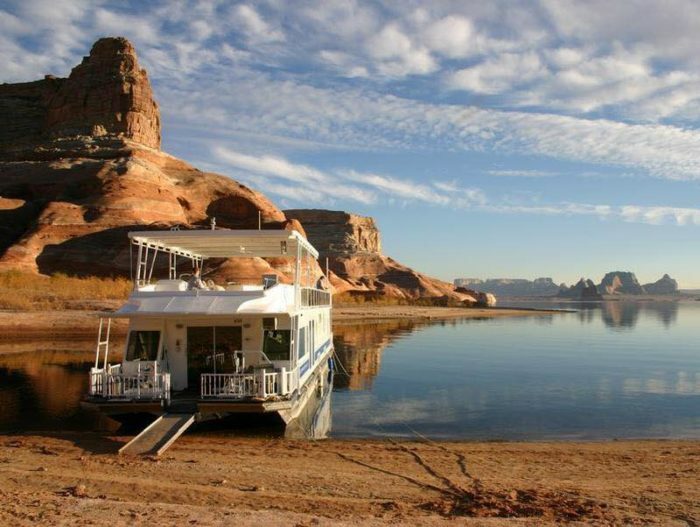 From the glistening shores of Lake Powell to Antelope Canyon's otherworldly rock formations, this small town is an absolute goldmine for outdoor attractions. Fewer than 8,000 people live here permanently, but millions of tourists visit annually. 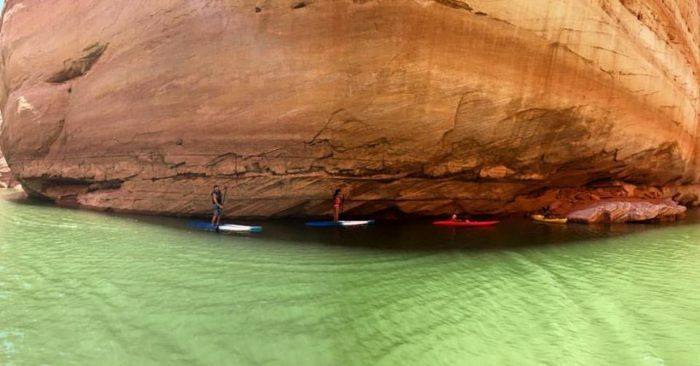 Lake Powell alone is responsible for a good portion of that influx. 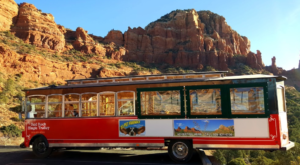 It’s actually a 2,000-mile stretch of the Colorado River and offers houseboat rentals, guided tours, plenty of sunshine, and breathtaking views of the surrounding red rocks. Antelope Point Marina has houseboats and smaller crafts like jet skis and pontoon boats available for rent. 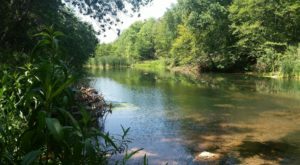 It's located at mile marker five on the lake, just a few minutes away from the dam. It's also the closest land-based marina to Antelope Canyon and the Rainbow Bridge National Monument. Sea kayaks are also available for just $30-$45 per day. Different from whitewater kayaks, this style makes straight-line paddling easier and therefore better suited for long trips. The kayaks can accommodate either single or double riders, so bring along a friend to explore with! 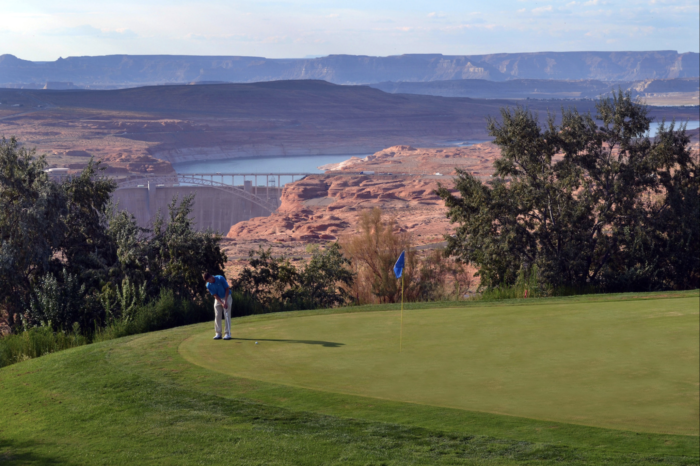 The Lake Powell National Golf Course is an incredibly peaceful place to enjoy the scenery. It's a challenging 18-hole course, but the unparalleled vistas ensure beginners and seasoned pros alike will have a blast. 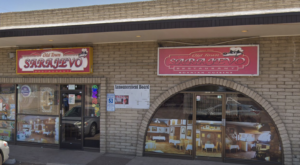 Once you're all done teeing off, head inside to the clubhouse for a quick bite. 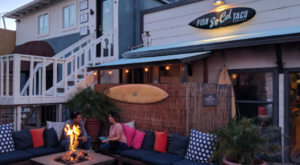 A reasonably-priced grill serves amazing food and drinks and there is cozy outdoor seating on a terrace. Of course, we had to save the best natural wonders for last. 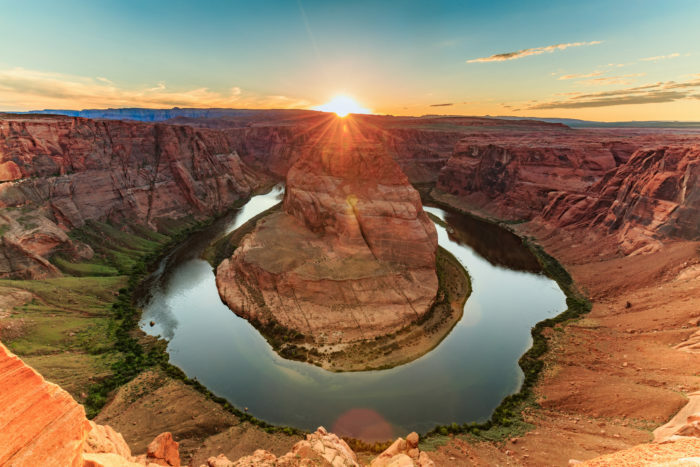 Horseshoe Bend and Antelope Canyon are the two most photographed places in all of Arizona. A short trail leads visitors to the edge of Horseshoe Bend’s U-shaped canyon, which plunges nearly 1,000 feet into the river below. A 360-degree panorama offers different viewing experiences in every direction, and sunset casts an iridescent glow that leaves visitors in awe. Just a few miles away, Antelope Canyon is an enchanting place that belongs on everyone's bucket list. Reservations are always required to visit, and only a limited number of permits are issued each day. This exclusivity not only helps preserve the sacred land, but it also makes the experience so much more special. Tours of Antelope Canyon range from 90 minutes to over two hours, depending on which option you choose. Photographers might prefer the latter to ensure enough time to set up equipment. 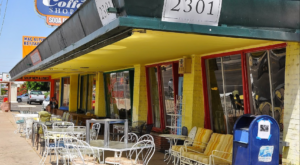 For more information about the small town of Page, check out its website here or visit the city’s official Facebook page. Have you ever been to Page? What’s your favorite thing to do there? 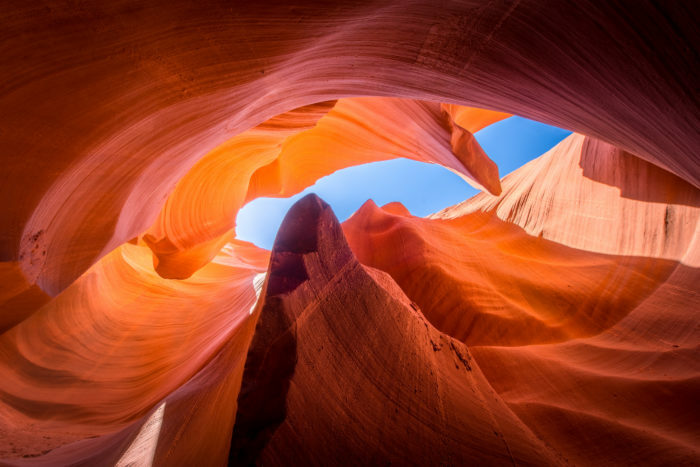 To read more about Antelope Canyon and Horseshoe Bend, check out our previous articles: This One Spot In Arizona Should Be The 8th Wonder Of The World and The Easy Trail In Arizona That Will Take You To The Top Of The World.